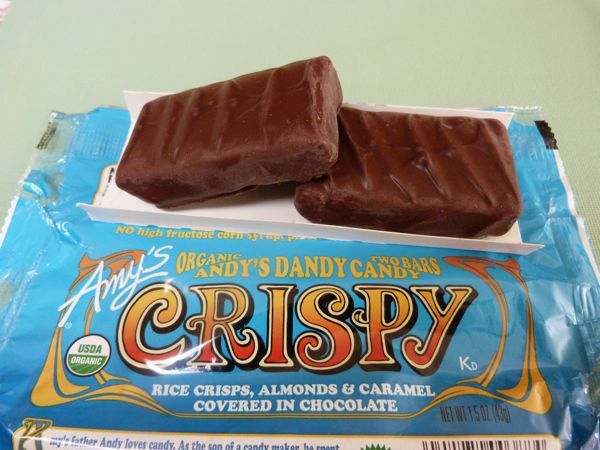 If you're in the mood for a higher quality candy bar, you might want to try the Crispy bar, part of Andy's Dandy Candy bar line from Amy's Kitchen Inc. (Petaluma, CA). 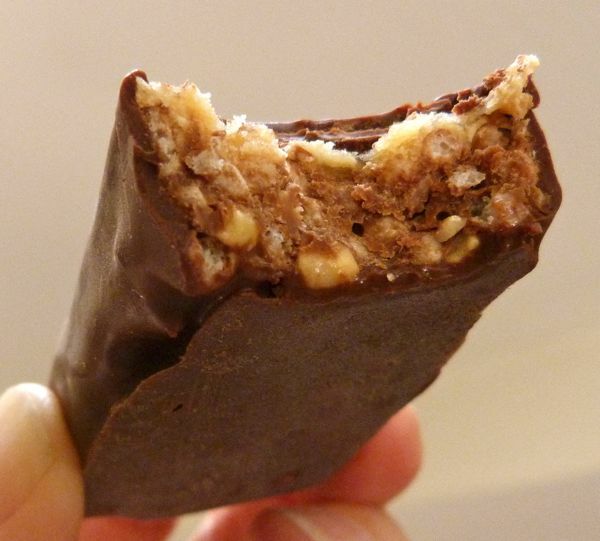 The product line moniker was inspired by Amy's father, Andy -- who was the son of a candy maker. 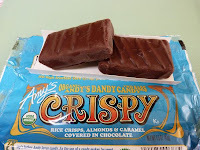 Today I enjoyed both Crispy bars (there were 2 bars in one package), part of the relatively new organic Andy's Dandy candy bar product line. Organic and gluten free, the Crispy bar contained rice crisps and almonds for a bit of texture, caramel, and a milk chocolate coating. 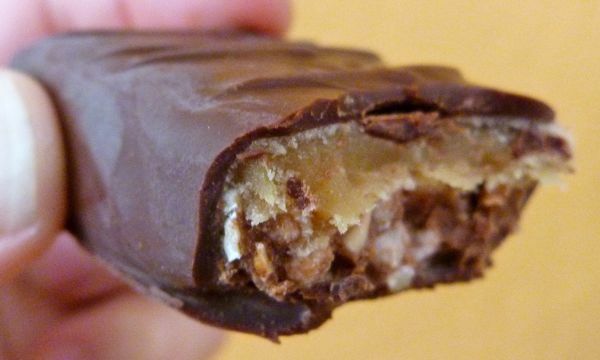 The tiny amount of sea salt used was barely detectable, but was enough to enhance the caramel. Also notable: no high fructose corn syrup, preservatives or GMOs. Today was Day #9 of Chocolate and Caramel and Toffee Theme Weeks.